In late September 2001, less than 10 days after the 9/11 attacks, the Project for the New American Century (PNAC)—a group of prominent neoconservatives, liberal interventionists, and members of the religious right who advocated a host of U.S.-led regime changes in the Middle East—drafted a letter to President George W. Bush, commending his promise to “go after terrorism wherever we find it in the world” and offering a number of recommendations for the remainder of the president’s term. The steps outlined in the letter were prescient in predicting Bush’s foreign policy priorities (and to a lesser extent, the priorities of his successor, Barack Obama). In addition to their advocacy positions on Iraq (invade immediately), Israel (support unconditionally), and military spending (abide “no hesitation in requesting whatever funds for defense are needed”), the signatories urged a tougher stance on Hezbollah, as well as its state sponsors in Damascus and Tehran. Today, as Syria remains mired in a seemingly limitless spiral of violence, the question arises—what has become of this attack-Syria coalition and what, if anything, has changed in its view of U.S. intervention? Because of the many ties between PNAC and the Bush administration, it came as little surprise to close observers that the Bush administration eventually followed much of the letter’s advice with respect to Syria. After supporting the Israeli invasion of Lebanon in 2006, the Bush administration capitalized on the assassination of Lebanese Prime Minister Rafiq Al-Hariri to galvanize political opposition to Hezbollah (and Syria by proxy), culminating in the withdrawal of Syrian troops from Lebanese territory. Donald Rumsfeld, then Secretary of Defense, produced a “Road Map for Syria” proposing a number of military options for weakening the Syrian regime, including “docking an aircraft carrier within Syrian territorial waters” and “using proxies to undermine Syrian intelligence agents inside Lebanon.” Meanwhile, Secretary of State Colin Powell presented Syrian President Bashar Al-Assad with a long list of U.S. demands, including that Syria cooperate in the “war on terrorism” in Iraq, end its support for Hamas, Hezbollah, and Islamic Jihad, and withdraw its troops from Lebanon. The administration’s pressure was highly effective in the heady days after Hariri’s assassination, and the Assad regime scrambled to provide the Bush administration with an acceptable counteroffer to prevent a second “regime change” in the region. Bahjat Suleiman, the chief of the internal branch of Syria’s General Intelligence Directorate, took the unprecedented step of publishing an article in the Lebanese daily al-Safir, where he outlined a course of action that could be acceptable to the Syrian regime. In the article, he implied that Assad would be willing to rein in Hezbollah, control Palestinian armed groups and Salafi extremists in Lebanon, and secure Iraq’s long border with Syria in order to guarantee the regime’s preservation. Backed into a corner and facing an existential crisis unlike any it had previously experienced, the regime chose instead to double down and force Washington’s hand. Assad worked to subvert the U.S. experiment in the Middle East, exploiting Syria’s proximity to Iraq and Lebanon to undermine the Bush administration’s cornerstone projects. Syrian intelligence services suddenly began to wreak havoc along the Syrian-Iraqi border, while political machinations in Lebanon helped the regime regain the upper hand in the Lebanese parliament. The tide quickly turned against Washington as an increasing number of complicating factors undermined its regional leverage. The implosion of Iraq, the rebounding political power of Syria’s allies in Lebanon, the deteriorating state of Afghanistan, and growing discontent at home forced the Bush administration to retreat from its hardline anti-Syrian approach. Thus assured of its safety, Damascus quickly reverted to its old ways. The neoconservative-led PNAC coalition that had once pushed for a unified and hard-fisted approach to redesigning the Middle East was also crumbling in the face of these and other failures. Though much of the beltway intelligentsia originally supported the “war on terror” in all its iterations, ensuing disasters deeply undermined the neoconservative ideology as well as its liberal interventionist counterpart. Some of the original signatories of the letter, like Francis Fukuyama, became deeply critical of the Bush administration’s policies; others, however, maintained a strong allegiance to their hawkish worldview and continued to defend it against any perceived modifications by the Obama administration. The ongoing crisis in Syria, however, has become something of a litmus test for these individuals, and the coalition has begun to resemble its old self. But the emerging consensus among Washington’s Syria hawks belies the complexity of the circumstances surrounding Syria’s spiraling civil war, the difficulty of pro-war ideologues to adapt to modern international conflicts, and the dangers of the zero-sum approach to Syria currently circulating through Washington. PNAC’s dyed-in-the-wool neoconservatives—the ideologues most responsible for the formulation of the Bush doctrine—have mostly stayed true to the priorities laid forth in the PNAC letter, and they’ve found new energy in calling for regime change in Syria. Most of the signatories to that September 2011 letter—including the likes of William Kristol, Jeffrey Bergner, Seth Cropsey, Midge Decter, Thomas Donnelly, Nicholas Eberstadt, Aaron Friedberg, Jeffrey Gedmin, Rueul Marc Gerecht, Robert Kagan, Charles Krauthammer, John Lehman, Clifford May, Richard Perle, Norman Podhoretz, and Gary Schmitt—have largely kept their initial worldview intact, even if their earlier predictions for a Middle East “democratized” by American arms has proved dramatically off mark. Many of these same individuals and their fellow travelers are at the forefront of the current push to escalate Syria’s ongoing civil war, arguing that active U.S. support for Syrian rebels—or outright military intervention—would hasten the fall of Bashar Al-Assad and maximize U.S. interests. A recent New York Times op-ed by Max Boot, a frequent PNAC letter signatory, and Michael Doran, a Bush National Security Council member, is a case in point. 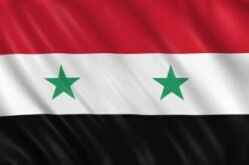 In promoting direct U.S. intervention in Syria, the authors—remarkably—were unable to identify any negative consequences of such engagement, instead identifying a plethora of positive developments for U.S. interests, such as improving ties with Turkey, “diminishing” Iran, and “equipping reliable partners” within Syria’s internal opposition. Though Obama has been reticent to embrace full-on militarization of the conflict—preferring instead an approach that relies more on diplomatic pressure and crippling economic sanctions—the continued stalemate has nudged policymakers ever closer to openly arming the rebels. Already the administration has steadily increased the military capabilities of the armed opposition elements, drifting away from its original policy of providing diplomatic support only. The parallels with Washington’s approach to Syria in 2006 are both ominous and telling. In effect, the same approach of uncompromising militancy is being advocated by the same individuals, and all indications point to a similarly disastrous outcome. The Syrian National Council, along with its supporters in Washington, has decided that there can be no compromise with the Assad regime. The Syrian government, as it did the last time it faced total intransigence in Washington, has adopted a similarly uncompromising stance. Faced with the prospect of annihilation, Assad has refused to acknowledge the demands of the protestors, and has met every challenge with overwhelming violence. In so doing, it has confirmed for the armed opposition that the Assad regime has no intention for dialogue, compromise, or reform, and the only remaining option is a zero-sum fight to the death. Considering the scope and horror of the regime’s massacres in the past two years alone, this conclusion may seem reasonable. But it overlooks—and in many ways undermines—alternative approaches that have been drowned out by the same voices that called for Syria’s destruction less than a decade ago. The illegitimacy of the Syrian regime is beyond question, but the manner and process of its ouster are not. The armed opposition appears to enjoy limited popular legitimacy, in part because it has committed its own share of atrocities and has been deeply compromised by its affiliations with Turkey, Saudi Arabia, Qatar, and the United States. The Syrian revolution remains one in which the vast majority of participants simply want freedom, dignity, and an escape from the brutality of the Assad regime. However, an overreliance on the military capabilities of an unrepresentative few is unlikely to bring about such an outcome. Instead it has produced an even more intransigent government and an opposition that is ever more dependent on the support of foreign powers, with both sides fully committed to the total annihilation of the other. As the violence escalates, the window for dialogue narrows, and voices from the diaspora calling for maximalist objectives will only serve to narrow these opportunities further. The same individuals who squandered an opportunity to weaken Assad’s grip on power in 2006 have embarked on a similar course of action five years later, with no real modifications but the same grand expectations. The result, as before, is likely to be one in which everyone loses. Samer Araabi is a contributor to Right Web. Nqoula Nasif, “Mq Taqaluh Washington wa Dimashq ‘an Muhadathat Burns,” Al-Nahar, May 5, 2003. Bahjat Sulaiman, “Suriya wa-l-Tahdidat al-Amerkiya,” al-Safir, May 15, 2003. H.D.S. Greenway, “The Return of the Neocons,” Boston Globe, December 13, 2005. Bassel F. Salloukh, “Demystifying Syrian Foreign Policy under Bashar al-Asad,” Demystifying Syria, Saqi Books, London, 2009.